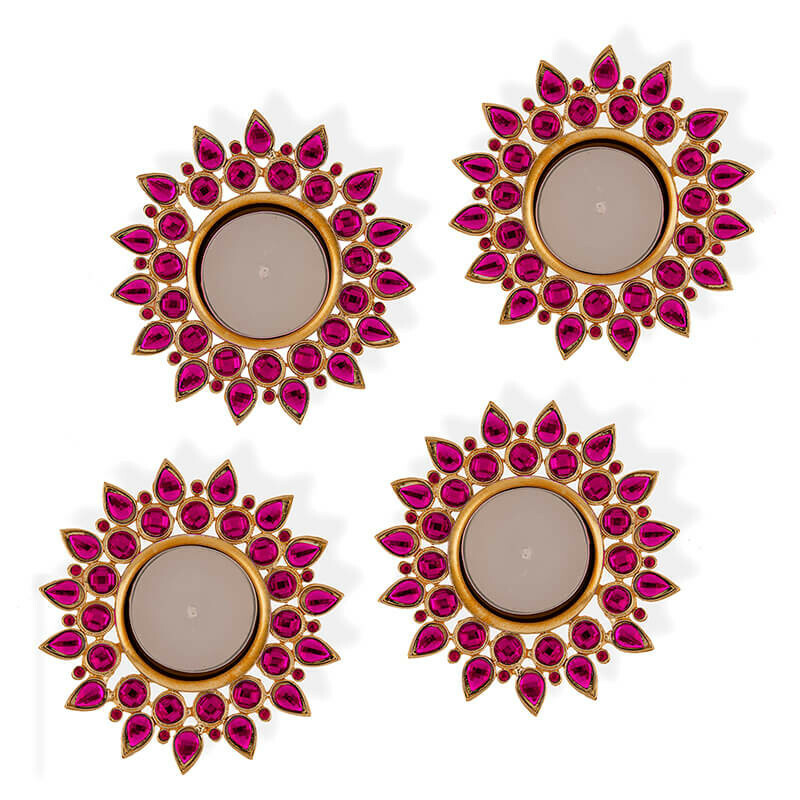 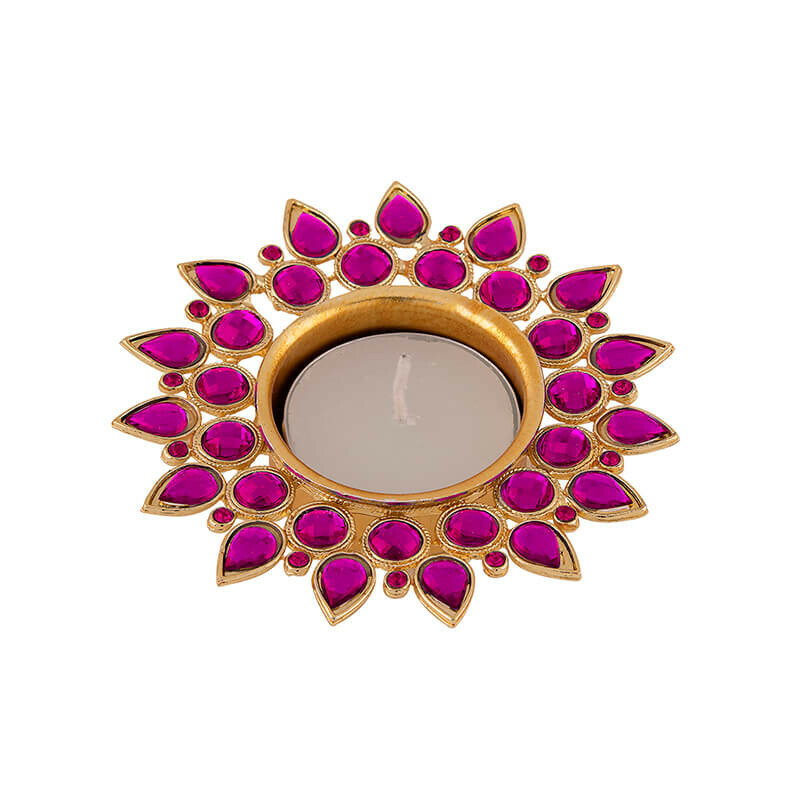 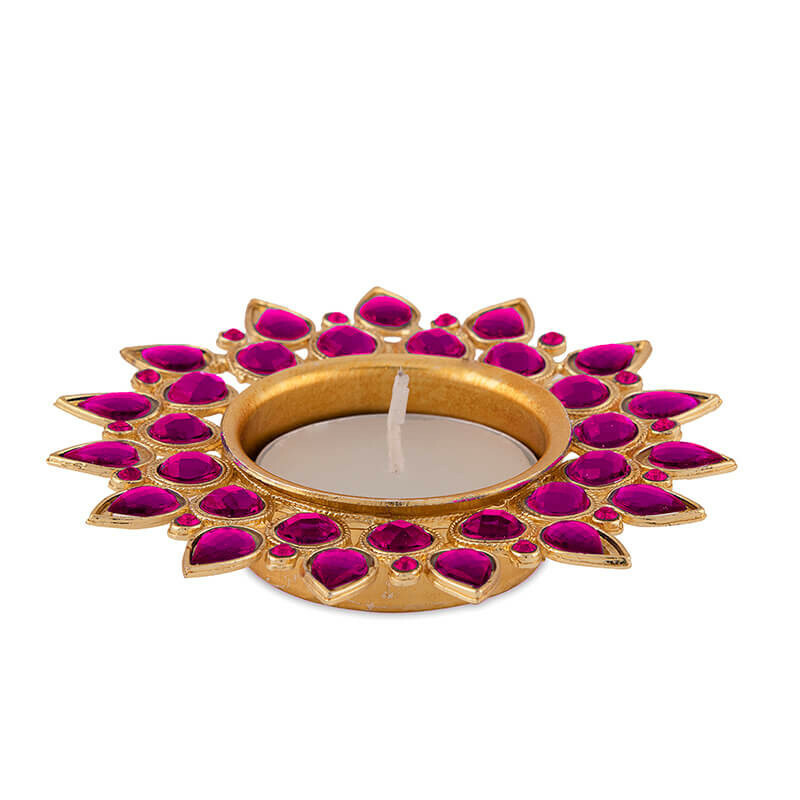 A perfect diya to drives away the darkness and welcome your guests. 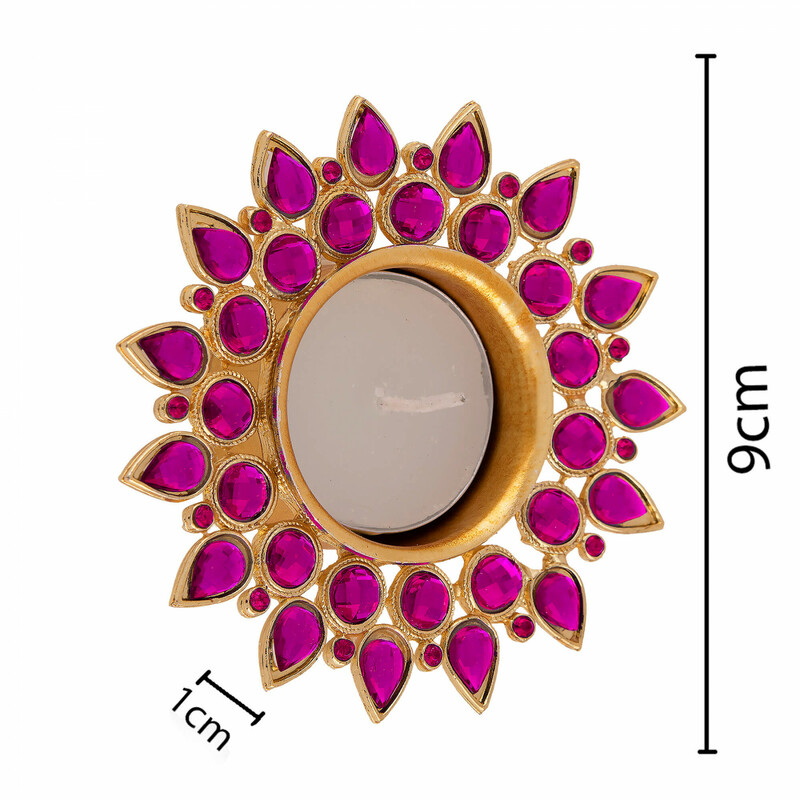 Made from Silver/Gold plated metal piece, with beautiful smoky crystals arranged around. 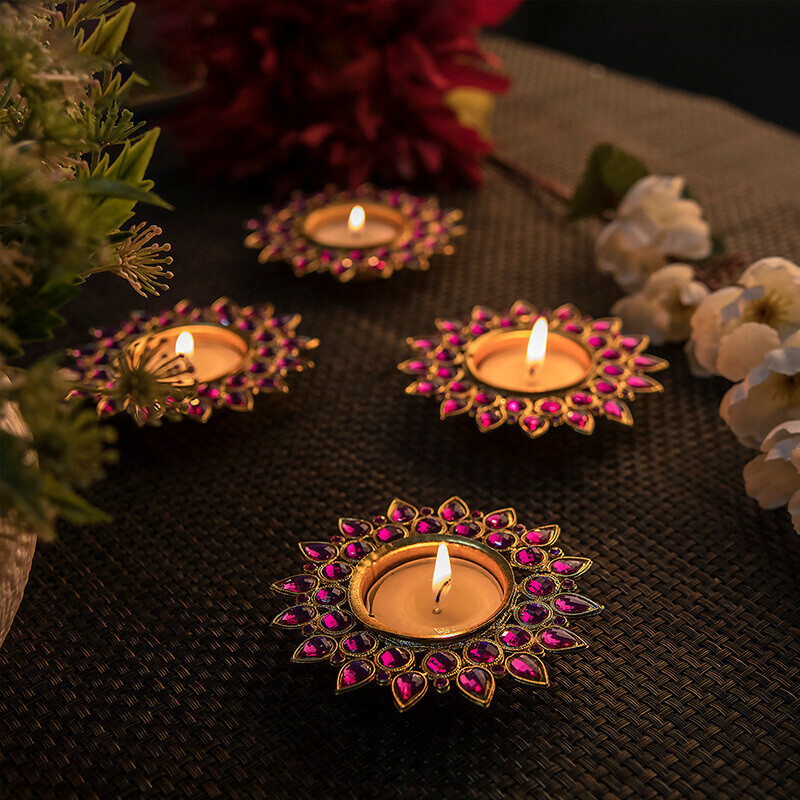 Just light the T-Light inside and relish the glow.